As a Loan Officer serving a wide range of clients from the first time home buyer to the sophisticated investor in the Northern California area, Ray Gin enjoys assisting customers to determine the most appropriate mortgage product for their unique needs. Ray Gin’s success as a Loan Officer is supported by his excellent communication and organizational skills, combined with a passion for excellent customer service, assisting the client throughout the loan process and sharing knowledge to make the loan experience more comfortable. 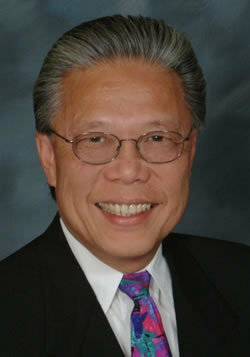 Ray Gin graduated from California State University, Sacramento with a Bachelor’s of Science in Accounting. He applied his educational background in retail for over 25 years. In transitioning to the mortgage industry he has certifications with CalHFA, CalPERS, CalSTRS and FHA 203k. He most recently obtained his national and state mortgage lender’s license. Ray Gin is an avid sports, wine and food enthusiast who enjoys nothing more than to spend a weekend in the wine country, watch or attend sporting events. Despite his busy career, Ray Gin makes time to be involved with community organizations. He is a member of the Sacramento Japanese United Methodist Church Youth Basketball Program and has served as a board member and the Tournament Chairman. He has also done voluntary work for the Sacramento Asian Sports Foundation and the Sacramento Warlords.